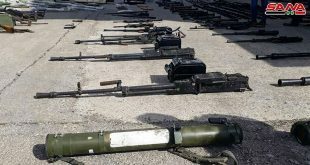 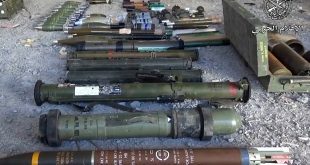 Daraa, SANA- The component authorities on Monday found large amounts of weapons and munitions, among them US-made TAO missiles left behind by terrorist organizations in Nassib village 12 km southeast of Daraa. 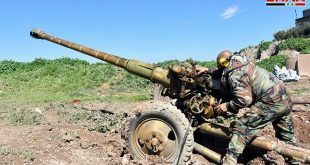 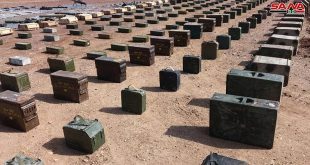 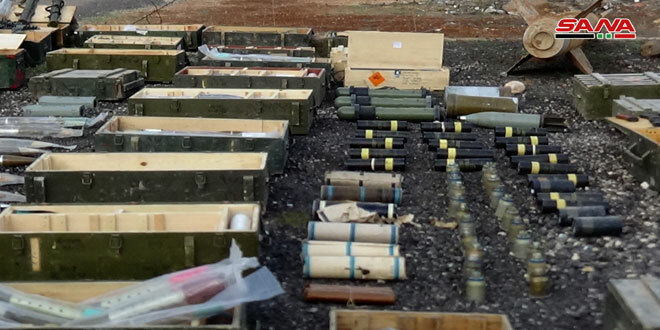 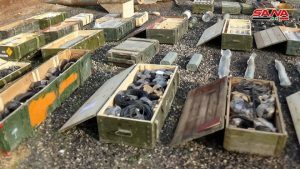 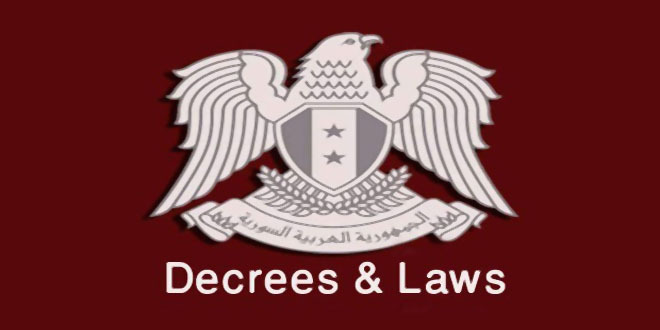 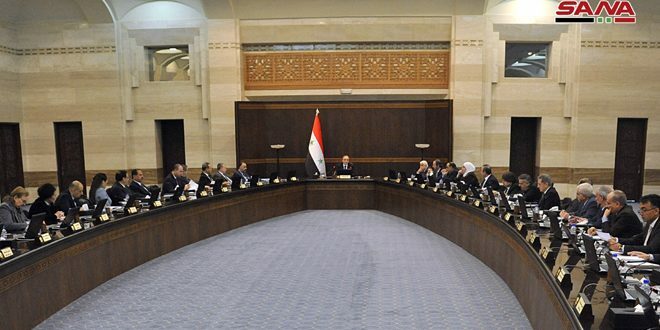 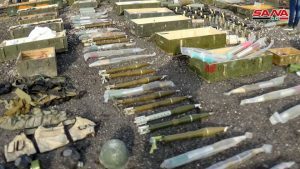 A source at the competent authorities told SANA reporter that during sweeping operations in the areas liberated from terrorism in Daraa southern countryside, the engineering units uncovered an underground cache containing large amounts of weapons and munitions left behind by terrorist organizations in the farmlands surrounding Nassib village alongside the Syrian-Jordanian border. 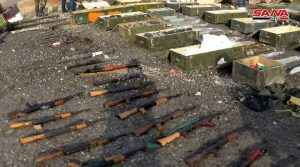 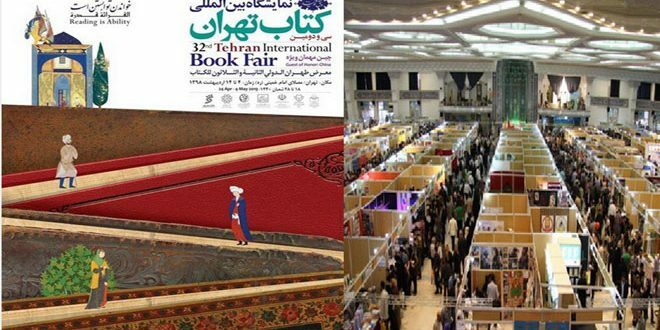 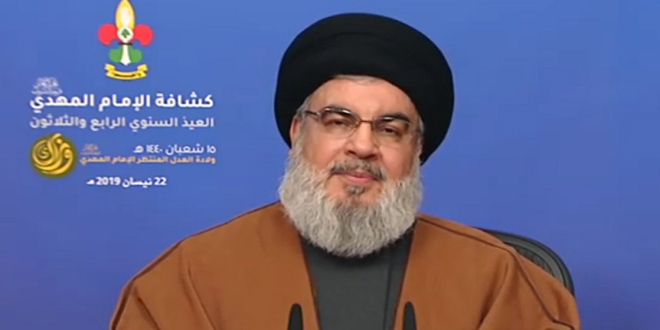 The source said that the seized weapons included 14.5mm medium machineguns, mortar shells, tanks, US-made TAO missiles, BMP vehicles , RPGs, explosive materials for manufacturing IEDs , automatic rifles and protective masks.